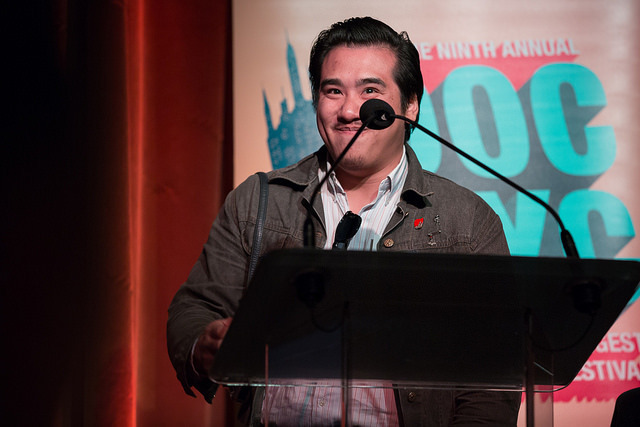 The fifth annual Visionaries Tribute took place today at Manhattan’s Edison Ballroom. 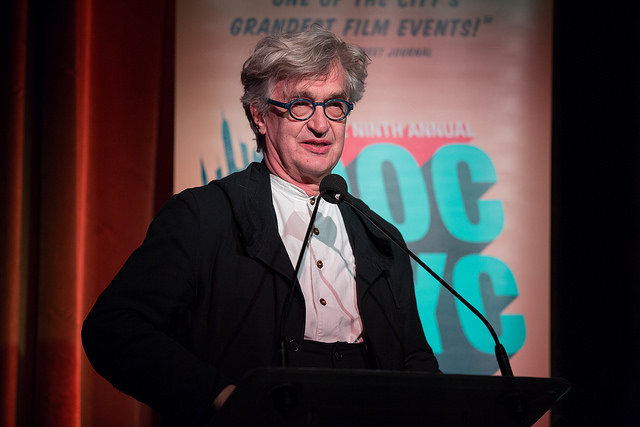 Veteran filmmakers Wim Wenders and Orlando Bagwell received Lifetime Achievement recognition. 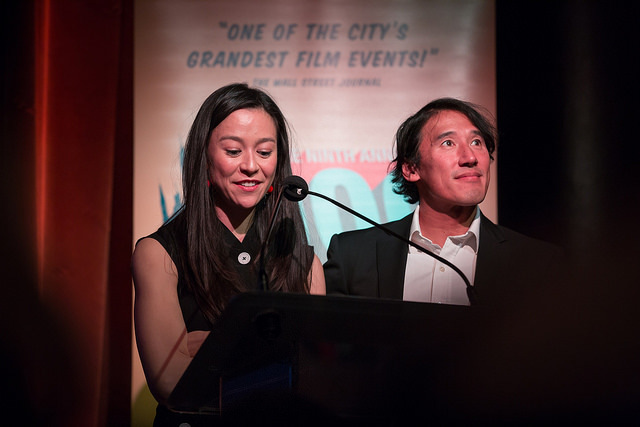 The Robert and Anne Drew Award for Documentary Excellence went to Elizabeth Chai Vasarhelyi and Jimmy Chin (Meru, Free Solo) and the Leading Light Award went to Tabitha Jackson, Director of the Sundance Institute’s Documentary Film Program. We are thankful to Netflix as our Leadership Sponsor this year supporting the Visionaries Tribute. 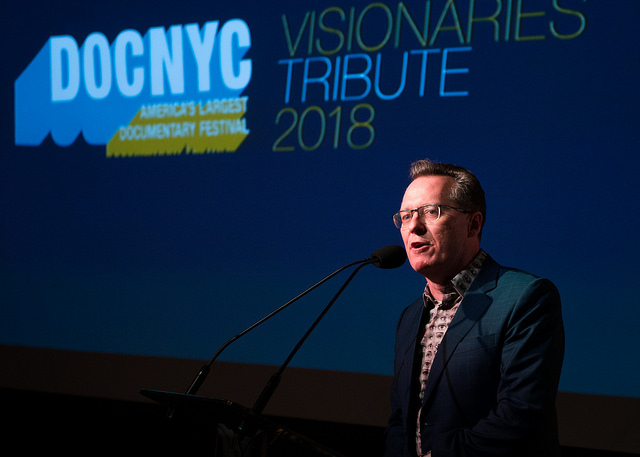 The Visionaries Tribute has become a key event in the documentary calendar, where leading industry figures come together to celebrate the achievement of their peers. 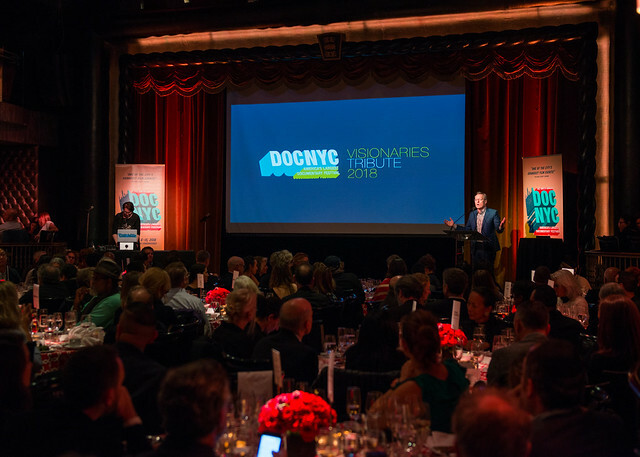 Notable attendees this year included Michael Moore, Sheila Nevins, Alex Gibney, Barbara Kopple & D.A. Pennebaker. Wim Wenders has directed the Oscar-nominated documentaries The Salt of the Earth, Pina and Buena Vista Social Club, along with nonfiction titles such as The Blues and Room 666 and celebrated fiction films such as Paris, Texas and Wings of Desire. His latest documentary Pope Francis: A Man of His Word screened at the festival as part of the Short List Strand. 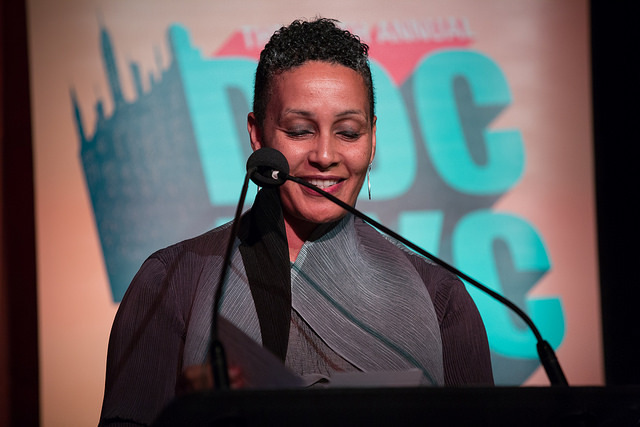 The Visionaries Tribute honorees are identified by recommendations from members of the Host Committee from past years and chosen by the festival’s programming team. 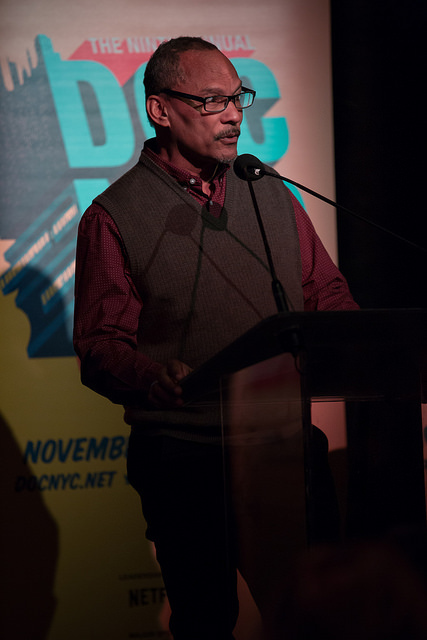 The NEON Shorts Award also debuted at this year’s Visionaries event, with the inaugural award given to Horatio Baltz, whose film True Love in Pueblo Textil has been selected for DOC NYC 2018. 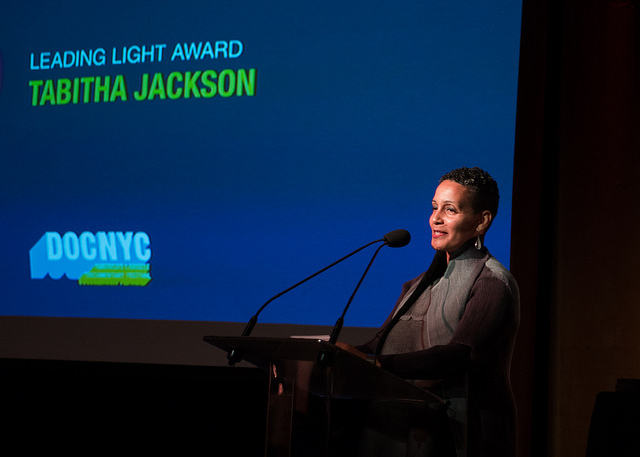 Additional support for the Visionaries Tribute was provided by Bloomberg Philanthropies and National Geographic Documentary Films.